Even though he and his legal team says it violates both the state and federal constitution, a criminal case against former Texas governor Rick Perry is moving forward, and he swears he's going to fight it. In 2013, Perry allegedly threatened to veto funding to the Public Integrity Unit in Travis County District Attorney Rosemary Lehmberg's office. Lehmberg had been arrested for drunk driving, and Perry took a stance against her deviance, calling for her resignation and ultimately vetoing funds when Lehmberg refused to step down. I am proud to stand for the rule of law and I know that my actions were right when faced with a public official whose illegal, unethical, embarrassing, and inappropriate behavior has completely tarnished her office and lost the confidence of the taxpayers she served. And, given the choice, I would make the same decision again today. Make no mistake: this prosecution sets a dangerous precedent in our country and directly targets the authority of every governor's office in America. Perry's legal team said they'll continue to fight both charges. His attorneys are filing an expedited appeal and will again challenge Richardson's decision. Despite the legal issues, which Perry appears to thinking nothing much of, he's moving forward with vague hints at yet another presidential campaign, albeit with $1.1M less in campaign funds thanks to his current legal troubles. Perry joined GOP heavy-hitters that included New Jersey Governor Chris Christie and Wisconsin Governor Scott Walker at the Iowa Freedom Summit last weekend to discuss hot-button issues like the Keystone XL pipeline and immigration. According to Perry, you'll hear of an official announcement (or not!) on his presidential run by May or June. That means Perry has three to four months to clear up his legal issues before taking the proverbial presidential bull by the horns. The Washington Post points out that even the most popular politicians — and Perry is inexplicably popular, having served the longest tenure as governor in Texas history — can have their higher aspirations completely obliterated by legal troubles. It took fellow Texan and former majority leader Tom DeLay more than a decade to clear money laundering charges filed against him in 2002. DeLay was acquitted in 2014 and will be speaking at the Houston Bar Association's Grand Jury seminar this Saturday. Fellow GOP governors including Christie, Walker, and Louisiana Governor Bobby Jindal have come out in support of Perry. Whether the case drags on or not, if Perry chooses to mount a presidential campaign, he'll enter a race more reminiscent of a school of fish swimming into each other. 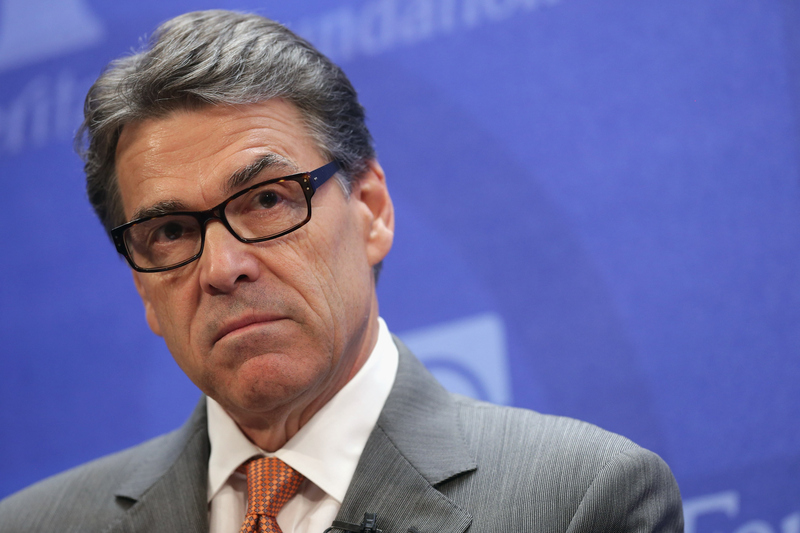 Those in power who stand with Perry have all been rumored to be running for the highest office in the land. Republicans are awash in potential presidential candidates. Perhaps Perry's legal woes will help him stand out.